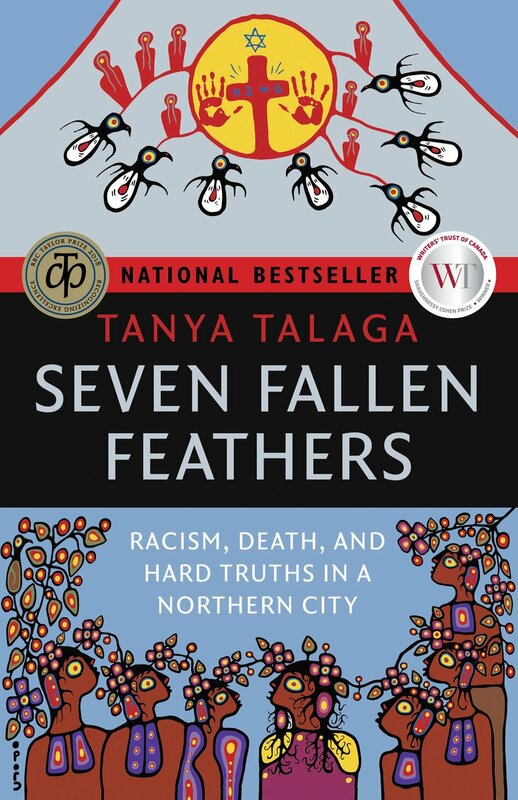 Seven Fallen Feathers: racism, death, and hard truths in a Northern City is the most borrowed book from Thunder Bay Public Library. When Tanya Talaga launched this book at Brodie Library in 2017 TBPL offered to help write the next chapter of hope for the future. TBPL must be, and must be seen to be, relevant to the needs of the diverse community it serves. TBPL is the most highly used service of choice in the city with nearly three and a half million interactions pa. TBPL is transforming from a stand-alone traditional public library to a multi-use community led and needs based community hub. TBPL is a member of the City’s Anti-Racism & Inclusion Accord of 11 organizations committed to: address racism against indigenous and racialized persons by setting short and long-term goals to meet the Truth & Reconciliation Calls to Action and the recommendations of the Inquest into the deaths of seven Indigenous youth in TB; support an ongoing process of truth and reconciliation throughout their organization and in our community by developing and maintaining respectful relations with Indigenous governments, organizations and individuals; report on our goals annually, beginning in June 2019. The TBPL Strategic Plan 2019-2023 is based on Community Conversations which identified community aspirations and concerns. Racism was among the top three concerns, along with public safety, and building an inclusive diverse community. TBPL has a mandate to tackle racism, starting with TBPL itself, via intercultural competence development. The recent report on the Thunder Bay Police recommends mandatory training designed to promote cultural competency and anti-racism, particularly in relation to Indigenous people, and reduce the likelihood that officers will perform their duties in discriminatory ways. This report also recommends training and education as a way to improve relationships and build trust and cultural competence. Tanya Talaga gave her first 2018 CBC Massey Lecture in Thunder Bay: All Our Relations – finding the path forward. Decolonization, anti racism, and inter cultural competence are the path forward for TBPL. John Pateman – www.tbpl.ca. If you have a comment about today’s column, we would love to hear from you. Please comment below!